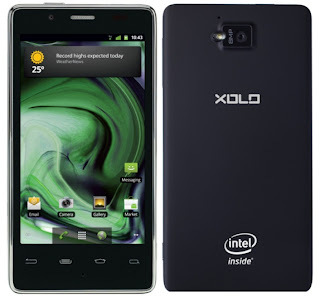 With the release of the Android 4.0 Ice Cream Sandwich OS Update for the Intel-Atom based Lava Xolo X900, it is becoming quite clear that the chipmaker is gradually trying to make its place in the smartphone market. The Lava Xolo X900 was launched in India in April featuring a 4.5 inch-ed capacitive touch screen display with a resolution of 1280 x 720 pixels. It was the first ever phone to make use of the Intel Atom processor. Earlier, the phone was to receive the Android 4.0 Ice Cream Sandwich Update after just a few weeks of its release but it got delayed. Now finally, Lava has come up with the ICS roll out for the Xolo X900 smartphone. The Facebook page of Xolo claims that the OTA (over-the-air) update for the same with a download size of 222MB is available. You can also get it by hooking your device via USB. The Android 4.0 Ice Cream Sandwich on this smart phone provides a host of new features including the following. (vi) Pre-loaded with Quick Office for the office documents editing functionalities and supports Google apps. (xiii) Now you can type with your voice. Touch the microphone button on the keyboard and start talking to automatically write any text or email. The Xolo 900 comes with 1.6 GHz Intel Atom Z2460 processor, 8 MP primary camera, 1.3MP secondary camera, NFC, 3G, Bluetooth connectivity features, 16 GB internal storage, 1GB RAM and 1,460 mAh. The Android 4.0 ICS Update will surely make the phone a better one and give the users a much better experience. 0 Respones to "Lava Xolo X900 is getting updated to Android 4.0 Ice Cream Sandwich"